Motorcycle handlebars are vital components of any bike because they help the rider steer the bike in the right direction. Handlebars that offer perfect grip characteristics are of great importance to the rider, as opposed to those that act as aesthetic components. Some manufacturers tend to design handlebars with aesthetic functionality in mind as opposed to safety. Great handlebars are designed with the intent to offer the rider impeccable motorcycle handlebar grip and allow effortless steering. Motorcycle grip can be enhanced by fitting the extreme end of the handlebars with motorcycle hand grips which come in different designs, size and texture. Ape hangers are as high as you can get. They are normally obtainable in 12, 14, and 16 inches in terms of height. 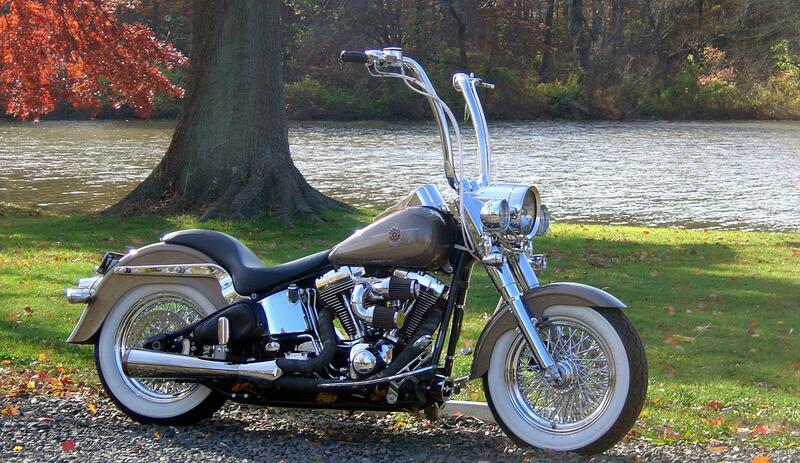 There are plenty of ape hangers available for sale, but the Harley ape hanger takes the biggest share of the market. The zero drag consists of tall risers that look cool on choppers. Despite the fact that it can fit across different bike styles, zero drag is specially customized for sportsters. Flat and neutral shapes look great on most motorbikes. When we talk about the high drag, Harley-Davidson Handlebars pop to mind. The high drag will virtually look good on any Harley Motorcycle model. It imparts character and substance and instantly boosts any average Harley Motorbike, making it a monster. Lower drag handle bars will not fit well with motorbikes with elongated forks because the zero upsweep and flat bend might render handling troublesome in certain situations. Drag bars assume an aerodynamic design, which means they offer less friction with the wind. It’s also a style of handlebar synonymous with Harley bikes. Said bars position the rider in a somehow forward and more aggressive riding position. This type of handlebar is quintessentially used on cruisers. It’s manufactured in sloping designs to enable riders to keep an upright riding position and to cruise with comfort on longer rides. These handlebars are prevalent on motocross bikes, off-road bikes, street fighter, dual sports motorbikes and supermoto bikes. Beach handle bars are derived from cruiser handlebars. They are designed in a sloping backward manner to let the rider relax during rides. This is popular with sports bikes. It was derived from the fork tube. Buckhorn handlebars are a variation of ape hanger handlebars. They have shorter, curved back sections. Moto handlebars are synonymous with dirt bikes, but will also look good on other varieties. If you’re a dirt bike enthusiast, then you will notice that the handlebar used is straight, which is a key attribute of Moto handlebar. A few riders are comfortable with straight and flat bars. Others slant towards characteristics like curve and height. However, the main determining factor in any motorbike handlebar is height and reach. Naturally, cars and trucks are built to enable the driver adjust their seat backward and forwards, and steering wheel up and down. Motorcyclists, on the other hand, don’t have many options to achieve that milestone. The only way to gain that room is via aftermarket customization. Motorcycle handlebars customize any motorcycle to fit a rider’s height and curve. Motorcycle handlebar risers are brackets that conveniently attach underneath the fork just at the front of the motorcycle handlebars. They lift up the level of handlebars to make them a lot comfortable to the motorcyclist. Most handlebars produced these days are generic, meaning that they can perfectly fit a huge array of motorbike styles and classes. However, the fact that they fit nicely doesn’t necessarily mean they’ll look awesome on your bike, so it’s prudent to closely compare the look of your bike and the handlebar before buying. 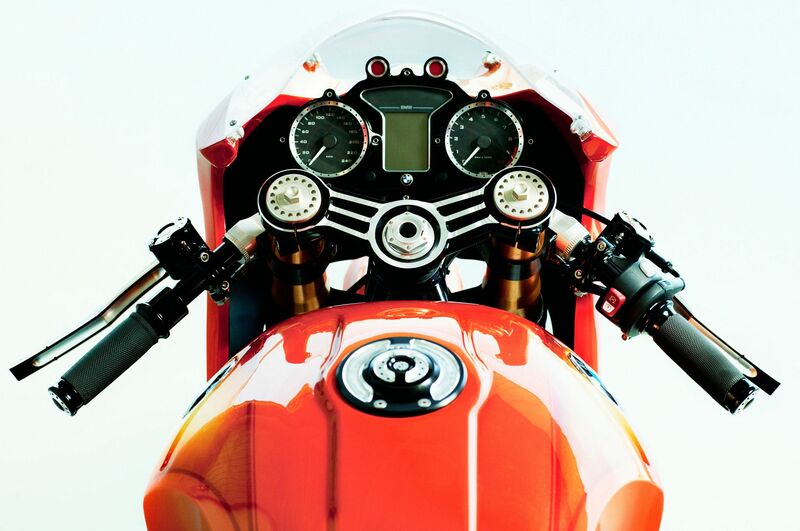 Majority standard motorbike handlebars come in at 7/8 or 1-inch diameter. However, you can obtain oversized bars with larger diameters of up to 2 inches. Large diameter handlebars have the benefit of tapering towards the end, which is important for control fitment and standard grip. Nonetheless, this benefit does not apply to the center areas of the bars, as they tend to clamp to the motorbike over time. If your preference is oversized handlebars, make sure they actually fit your bike either with the aftermarket or OEM options, which you can buy separately. The best way to know for sure is to use a tape measure and solicit a friend’s help to perform the actual measurements. This way you’ll get a firsthand idea of how well the bars will feel and fit. Handlebars come in wide range of sizes and shapes, meaning, not every bar will have adequate space for control assemblies. If your motorbike consists of large switch housings, you will have to ascertain that they’ll perfectly fit on the new bars. The handlebar width and height are vital aspects when contemplating buying aftermarket items. The cable and wiring might turn out to be too short or too long. Short is what most riders abide by unless you’re going back to stock a used motorcycle. Cables and wires can be stretched or substituted with new ones at the correct length. Also, think of running wires over the bars. Keep in mind that cables commonly stay on the exterior of the bar. Style is equally important as safety when it comes to handlebars, why you should chose with care.